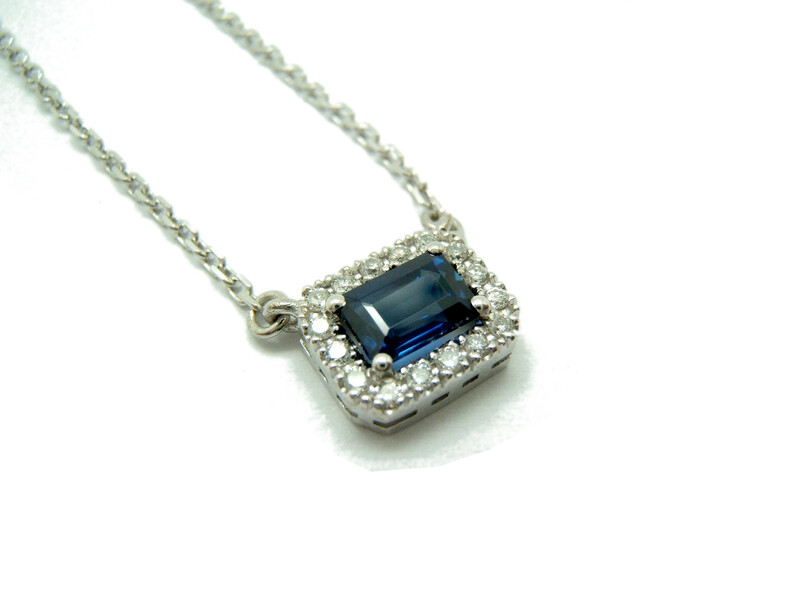 Pretty necklace made from white Gold with a "Sapphire blue"central and a border of diamonds. Weight and dimensions of Sapphire: a 0.52 carat weight and 5 X 3.5 millimeters. Weight of diamonds: 16 brilliant cut diamonds with a total weight of 0.08 carats. Weight of the set, chain and pendant: 2,79 grams of Gold. Total measurement of the pendant: 8.2 width X 7 height in millimeters.